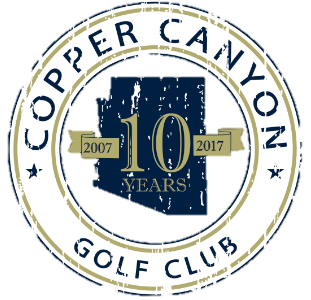 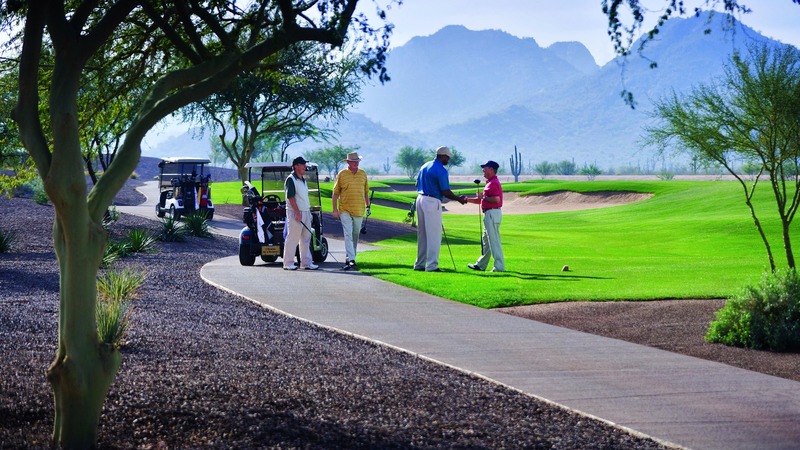 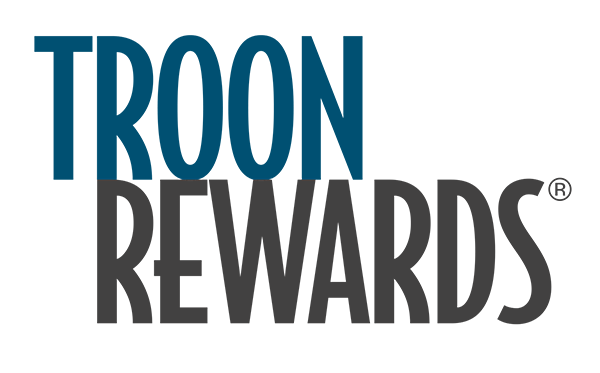 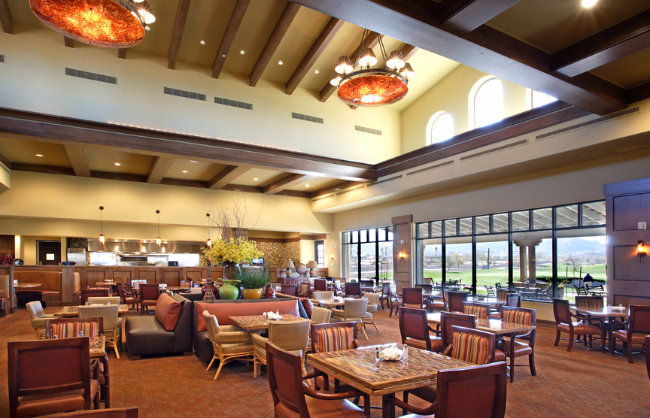 Copper Canyon Golf Club at Sun City Festival is an upscale daily fee, 27-hole championship golf course designed by Lee Schmidt and Brian Curley. 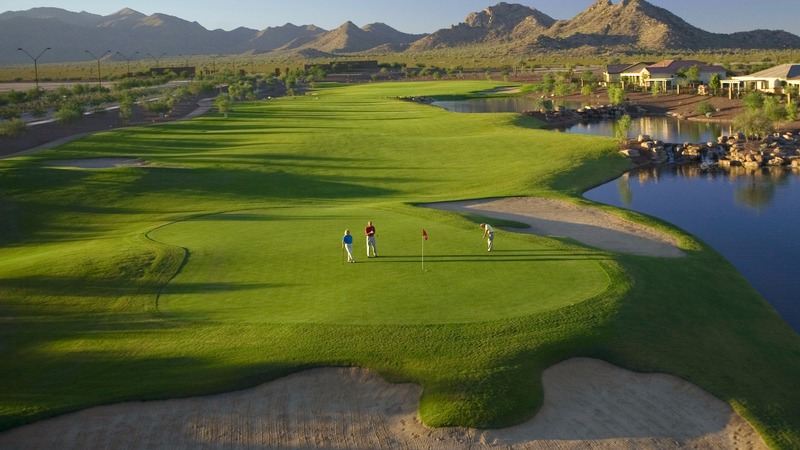 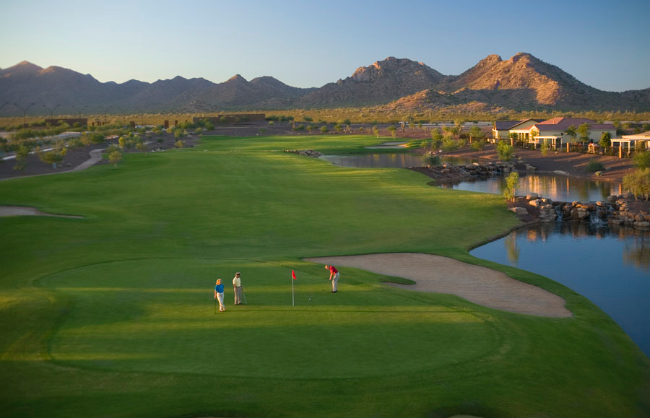 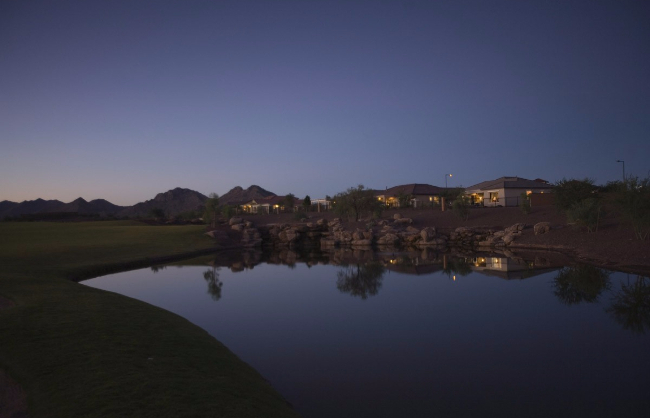 Generous fairways look overly inviting to the golfer&apos;s eye, yet are only the gateway to large, undulating greens that have become a trademark at Copper Canyon. 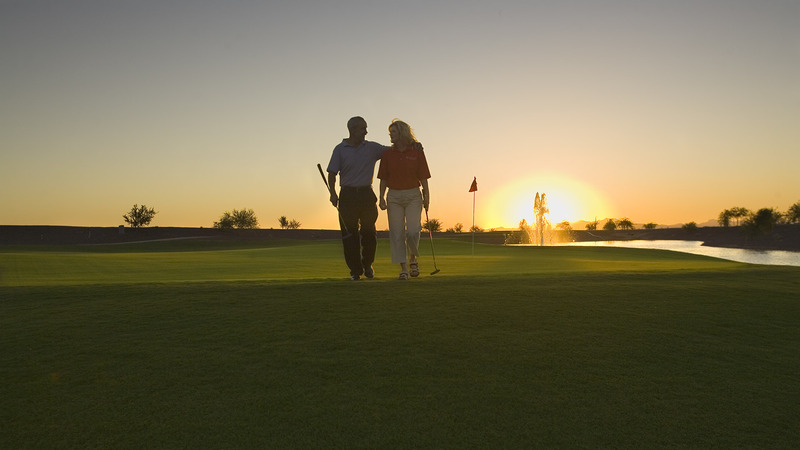 The practice facilities can be classified as one of the true greats in the Valley of the Sun! 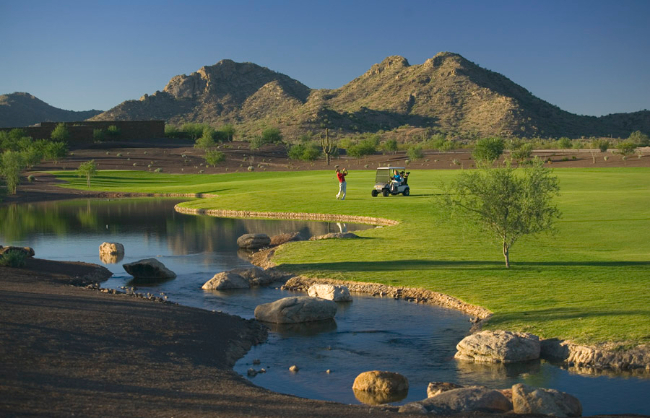 With over 100 yards in tee length, spanning two large tiers, one will only hit from the best possible turf. 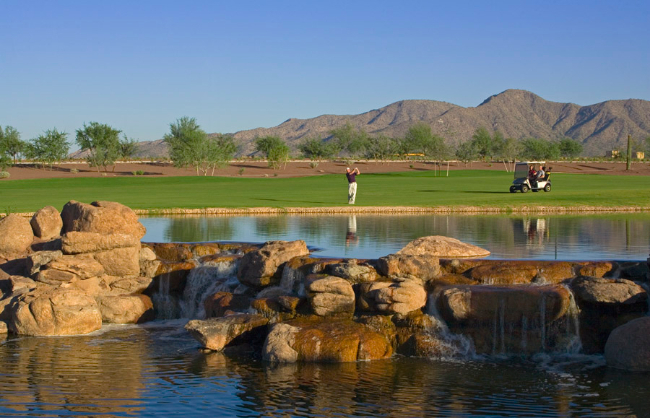 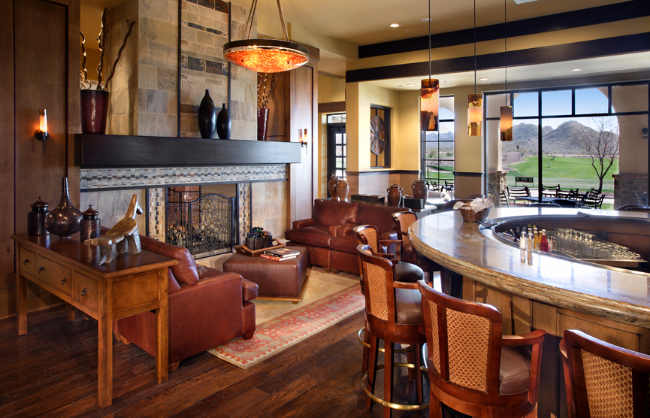 The unique setting of the practice facilities in relationship to the Clubhouse give this golf experience a cozy feeling not offered by many.